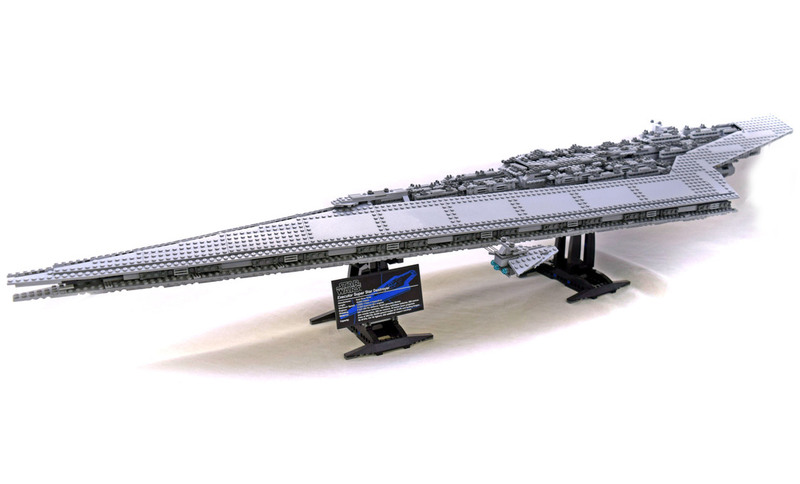 Super Star Destroyer (LEGO #10221-1) is a great LEGO set from the Star Wars theme. This is one of the largest production lego sets every produced. The set is monstrously large and has intricate details to give it a great display value. Set includes a minifigure sized bridge with Darth Vader, Bossk, IG-88, Admiral Plett and Dengar. Set comes with 5 minifigures and 3152 pieces.